Shanghai transcosmos Marketing Services Co., Ltd. (Headquarters: Shanghai, China; CEO: Eijiro Yamashita; transcosmos China), a wholly-owned subsidiary of transcosmos inc. (Headquarters: Tokyo, Japan; President and COO: Masataka Okuda), held an opening ceremony for its new contact center, “Wuhan Center,” on January 11, 2019, inviting clients and partners. The center was established in July 2018. “As a global BPO player with a 52-year history, transcosmos offers extensive services such as contact center services, e-commerce one-stop services, digital marketing services, system development services, and end-to-end DEC services. We entered the Chinese market more than 20 years ago. Since then, we have been offering outsourcing services to over 70 global brands in diverse industries including the internet, 3C Industry (Computer, Communications, and Consumer Electronics), IT manufacturing, finance, baby care, apparel, cosmetics, retail, auto, telecommunications, and more. Online chat, call, SNS, etc. 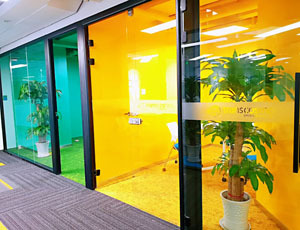 The Wuhan Center is equipped with multiple conference rooms, training rooms, interview rooms, and break rooms. 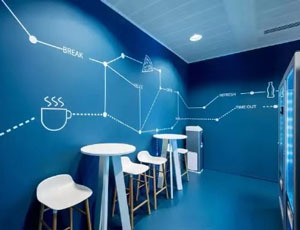 Its modern work environment with great internet connections and other information technologies is a powerful enabler to attract and hire talent, and execute projects. 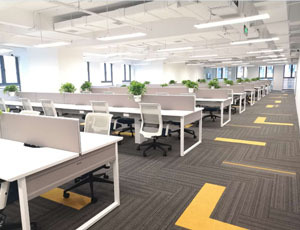 In addition, its cutting-edge contact center systems and technologies enable experienced managers and trainers at other centers to support Wuhan Center members remotely at project launch phase in order to launch projects swiftly and deliver high-quality services to clients. 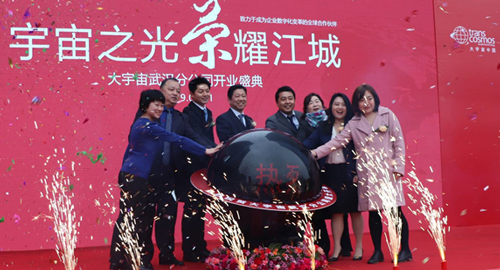 The opening of Wuhan Center, the 10th contact center in China, shows transcosmos’s commitment to further enhance its initiatives in central China. 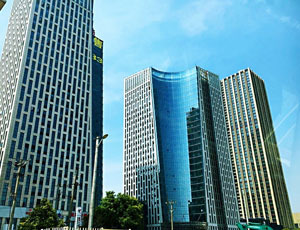 Leveraging the Wuhan Center, transcosmos aims to expand its businesses in central China and offer e-commerce and contact center services across all industries that are tailored to suit each client’s needs by building upon its extensive experience and proven record in providing operations services. transcosmos launched its operations in 1966. Since then, we have combined superior “people” with up-to-date “technology” to enhance the competitive strength of our clients by providing them with superior and valuable services. transcosmos currently offers services that support clients’ business processes focusing on both sales expansion and cost optimization through our 169 locations across 31 countries with a focus on Asia, while continuously pursuing Operational Excellence. Furthermore, following the expansion of e-commerce market on the global scale, transcosmos provides a comprehensive One-Stop Global E-Commerce Services to deliver our clients’ excellent products and services to consumers in 49 countries around the globe. transcosmos aims to be the “Global Digital Transformation Partner” of our clients, supporting the clients’ transformation by leveraging digital technology, responding to the ever-changing business environment.